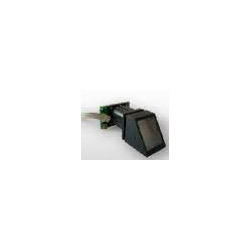 Carving the niche of the organization, we are engaged in providing our clients with an excellent assortment of Finger Print Module. All these sesor modules are fabricated using high quality raw material, advent machinery and latest technology, procured from trusted vendor of the market. Further, these are stringently tested on various parameters before delivering at the customers' end. 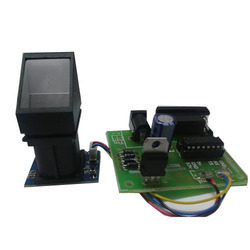 Our product range also includes Finger Print Module Output, Finger Print Module and Three Axis Accelerometer Module. Innovation is our forte and we strive to design and develop a precision engineered range of Finger Print Module Output. This R305 Fingerprint Module is a serial fingerprint scanner which can be directly connected to the PC’s com port and to any controller via MAX232 IC. This Fingerprint scanner is capable of storing and comparing the fingerprint and accordingly giving the desired output. Baud rate: 9600 – 115200. Default: 57600. Image Acquire Time: < 0.5sec. With firm commitment to quality, we are manufacturing and exporting a comprehensive range of Finger Print Module to our customers. These products are manufactured using high grade quality raw material and advance technology procured from trusted and reliable vendor of the market.